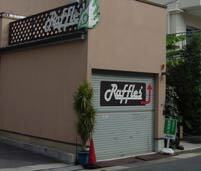 Raffles closed on the 16th of July 2014. We would like to send our sincere thanks to all the people who supported us over the last 24 years. While the restaurant no longer exists, this website will remain as a way for people to contact us. Please use the "contact" page to send us a message. 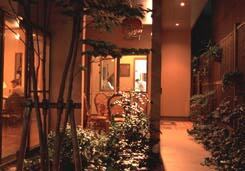 There's a lush sub-tropical garden and the interior is spacious so you can relax and imagine you're in Bali or Phuket. If you're feeling nostalgic for your last Asian holiday, or just want to try something different, we look forward to seeing you at Raffles'! (Taeko's message is in Japanese. 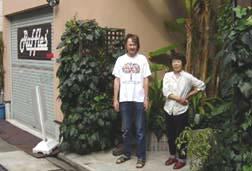 As of July 16th 2014 Raffles is closed. Many thanks to all the people who supported us over the years! Actually Raffles' John plays in a band in Nagoya in his free time, an interesting bunch of middle-aged desperados called Daihachi Ryodan. 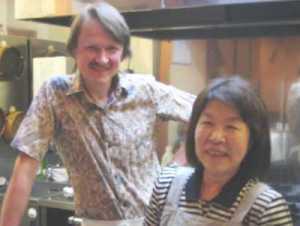 If you're curious to know more, have a look at the Daihachi Ryodan website.